Apple apparently doesn’t want you inside this thing. They decided to use 5-point Security Torx to attach the lower case. The SSD unit appears to be assembled by Toshiba and is model number THNSNC064GMDJ. 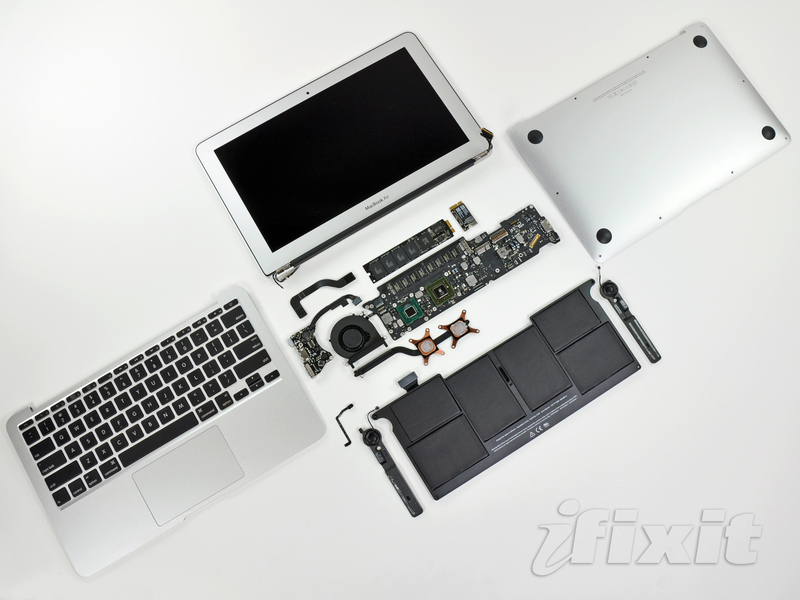 Although in a different form factor, the new MacBook Air uses the same Broadcom Wi-Fi/Bluetooth chip as the current lineup of MacBook Pros.